As is pretty well known by now, around this time Paul Weller got into the pleasures of rural life and became a much more laid-back character (to a certain extent) than he had been earlier in his career. The hard-edged punky r'n'b of The Jam was long gone by now, as was the cosmopolitan, tuneful white soul of The Style Council. Actually, even the jazzy, light funk tones of his excellent debut album had been replaced here by a tougher, heavier, guitar-driven sound leaning heavily on 1970s era Traffic for inspiration, often clearly so. 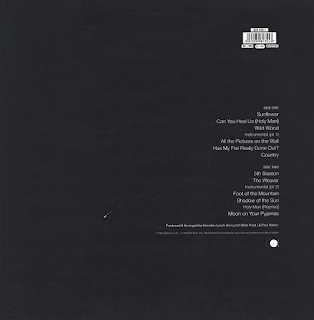 Lyrically, Weller went all bucolic, and references to "mountains", "sunflower", "woods", "weavers", "boats", "country", "sun", "season" and the like are highly prevalent here. You just get that feeling of Weller and his band lazing around in the summer of 1993 in the Oxfordshire countryside and laying these tracks down in a relaxed frame of mind, despite the edgy nature of some of the tracks. It just has that air of a relaxed time about it. "Sunflower" is a riffy, late 60s Beatles intro to this rocky, tough edged opener. Despite the guitar attack, lyrically it is still concerned with sunflowers and "sunshower kisses". "Can You Heal Us Holy Man" is a pretentious title, yes, for this obviously Traffic-influenced song, which also re-uses to a certain extent, the punchy moog riff from the previous album's "Uh-Huh, Oh Yeah". In spite of the titles, it's a good track. 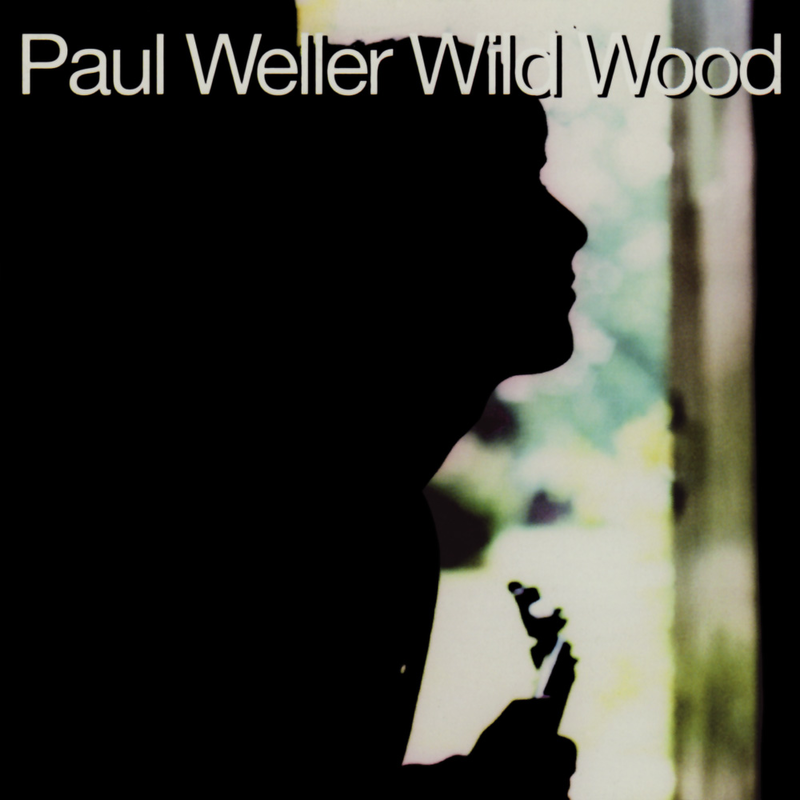 "Wild Wood" sees Weller at his most lazy, hot afternoon, pastoral best. This mellow song is well-loved by fans and features just Weller and his acoustic guitar and has a few hints of Neil Young about it. It is blissfully atmospheric and in its urging to escape from the urban "traffic's boom", thoroughly appealing. "Has My Fire Really Gone Out? ", Weller asks. Had it, Paul? Somehow I doubt it in this driving, harmonica-driven r'n'b attack. It seems as if Weller is almost mocking his critics in the lyrics. He knows damn well that his energy and creative fire is still there. Great drum sound from the excellent Steve White too, particularly as the track goes all psychedelic at the end, wah-wah guitar and all. The gentler "Country" is another "solo" acoustic number, with hints of the 1970s output of ex-Small Faces and Faces guitarist Ronnie Lane. Vague reminiscences of some of the Style Council material in the vocal delivery and lyrics too. After another instrumental break for Weller to have a smoke. A conga and psychedelic guitar intro to this powerful short piece, we get "5th Season", a solid rocker, mid-pace, organ and drums and Weller spitting out the vocals. This sort of material is set in late 60s/early 70s British rock music and is totally different to anything Weller had done before. The swirling organ break is something he would have claimed to despise in his Jam days. Kudos to him for changing his attitudes though, as he has regularly done, to be fair, as he has matured, musically. "The Weaver" has a strong opening riff which heralds another guitar-driven 60s r'n'b-influenced number with pastoral lyrics. Who would have thought Weller would be going about "the weaver of your dreams" like something off a 70s "prog rock" concept album? Certainly not the man himself. "Foot Of The Mountain" has Weller back on acoustic ground again, for the third time, with Weller ruminating on climbing the mountain, of what, who knows? Maybe just coping with life in general. Coping with changing his musical style? Maybe. Either way, it is an appealing track. "Shadow Of The Sun" was an anthemic concert closing favourite at the time. An extended, heavyish workout ending in some lengthy, but convincing guitar soloing. Again, something that would have been utterly incomprehensible a matter of a few years earlier. Lyrics about "magic carpet rides" too. Despite all that, in many ways, it is the best track on the album. Some great drum/percussion/guitar/keyboard stuff near the end. 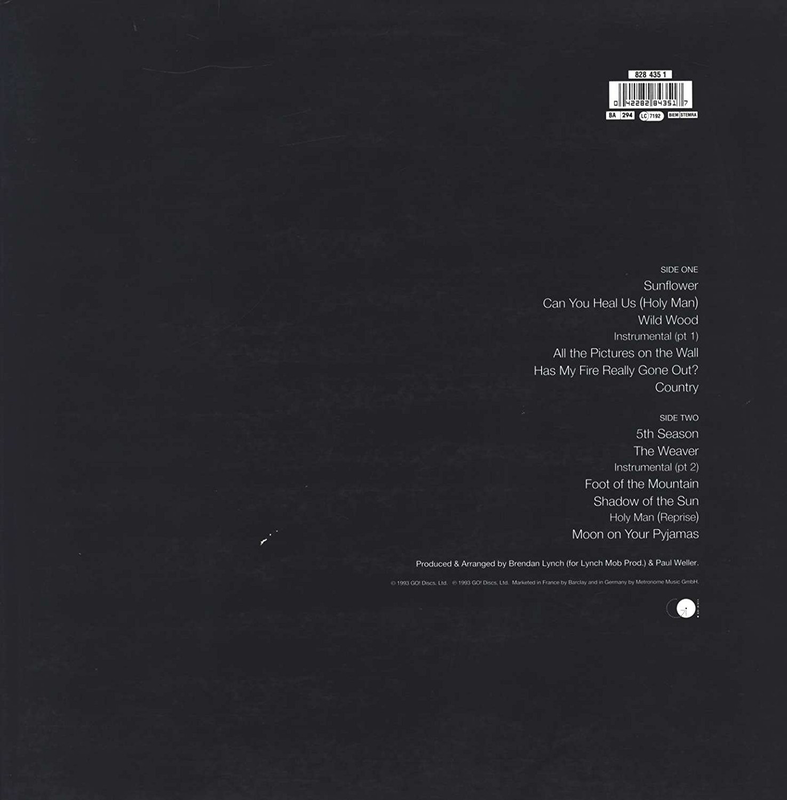 "Can You Heal Us Holy Man (reprise)" reprises the moog riff from the earlier track, this reprise is placed "Sgt Pepper" style, as the penultimate track. Unfortunately, however, the final track is no "A Day In The Life", however nice is it is. "Moon On Your Pyjamas" gives the album something of a syrupy end as Weller goes all poetic about the moon shining on to his sleeping young son's pyjamas. A sweet, soulful delivery from Weller that harks back to the Style Council and bears a bit of a Marvin Gaye influence. Some lovely guitar and keyboards feature. "Hung Up" was a short, punchy single release that sort of helped to cement Weller's "Britpop" credibility. You can imagine the Gallagher brothers loving this. A potent guitar solo in it, but is doesn't ever really out-do anything on the album. By the end of the album, one has probably had one’s fill of Paul Weller circa 1994 for a while. It all seemed a bit intense and dare I say it, dull. While the debut album had been a breath of soulful fresh air and substantially different from anything Weller had done before, this seemed to be far too musically introspective and somewhat dense in its grinding guitar-driven soundscape. The next album would shake things up a bit, while not completely dispensing with the same style and influences. I am loath to criticise it too much as I have derived pleasure from it over the years, however.